Game Designer Revenancer shares insight into League of Legends' upcoming feature, Missions. Hey folks. I’m Game Designer Evan “Revenancer” Humphreys, and I’m here to talk about our upcoming feature, Missions. Most of us have played dozens, hundreds, or even thousands of hours of League. To stay fun over such a long time frame, the game can’t become monotonous or stagnant. When it comes to moment to moment gameplay on the Rift, a lot of what we do helps add that necessary variety—new champions, frequent patches, deep mastery curves, etc. Outside of the Rift, we address this with long-term goals reflecting your growth as a player—ranked and champion mastery specifically. These long-term goals are fun to work towards, but progress usually takes months (or years), and important milestones are fairly scarce. On a week-to-week or day-to-day level, there aren’t many different goals to pursue to bring variety and character to your individual play sessions. Historically, we’ve added these sorts of goals to the game periodically in the form of events, like Snowdown and Bilgewater: Burning Tides. But the difficulty of working with the old client made putting any parts of the events directly into the game impractical, and players were often stuck deciphering websites to determine what they could earn and how to get it. With each past event hard-coded and managed by hand, handing out event rewards required our Insights team to go through the database, check which players qualified, and then manually hand out each item (if you ever wondered why it takes a week for you to get that sweet summoner icon for Snowdown, that’s why). The new client makes bringing these sort of features directly to the game much easier. This gave us the opportunity to build a way to deliver the same sort of goals players had seen in events, but faster and better (and more often). From there, it was a short step to opening up those goals to more than just traditional events—and thus League of Legends Missions was born. What will Missions be like? 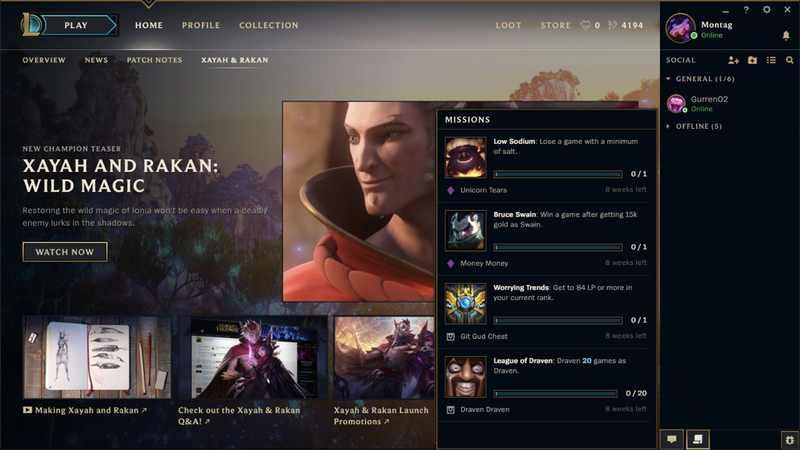 Missions will offer players new challenges to solve on the Rift for rewards like unique skins, Summoner icons, and loot. Since this is uncharted territory for League, we don’t quite know where we’ll end up years from now, but we do have some guiding principles to separate a good mission from a bad one. Principle #1: Missions don’t troll your games. This is a delicate area. It’s important to us that missions don’t negatively impact your games. This means missions can’t encourage players to play to lose or to play in sub-optimal ways. However, we’re making an exception for situations where all five players are signed up for the same challenge. Good mission: Win three games with at least 10 kills/assists. Bad mission: Win a game with 300 AD as Lux. Principle #2: Missions challenge your skill, not your patience. Not every mission will be easy to complete in one afternoon, but no mission’s condition of success will simply be how much you’re willing to play. Good mission: Win three games as Leona with an A grade or higher. Bad mission: Play 100 games as Leona. Ultimately, we want players to come away from a completed mission having had fun—or feeling satisfied with the challenge they’ve overcome. Will League be about completing missions? Rest assured, League of Legends is first and foremost a PvP game that’s about battling it out on the Rift. It isn’t an RPG; we don’t want to make the game about questing or checking boxes off a list. We won’t be flooding the game with a deluge of missions just to keep shaking things up. 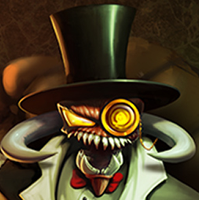 Our goal with Missions is to deepen all sorts of aspects of the game you already enjoy. Now regions and feature teams have the flexibility to add missions that enhance your experience with new goals and rewards. 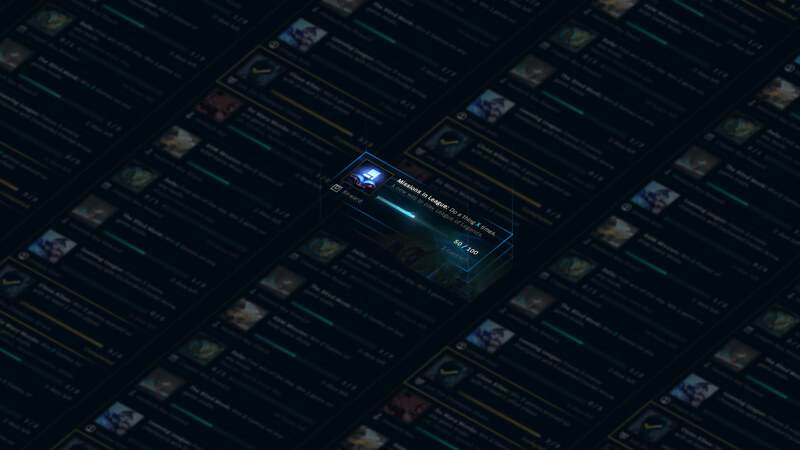 You might be able to do a chain of missions to demonstrate your loyalty to TSM (or CLG, if you’re a masochist like me) and earn a unique icon, or live a new champion’s story personally through a set of missions. We’re just starting with Missions, and we’re going to start small. Ultimately, what you guys think of the feature will determine its place in League, so definitely leave us feedback about what you like—or don’t—as new missions roll out. Revenancer is a game designer on League who loves playing tanks and holding strong opinions about trivial problems.